The original Endowment Trust fund. This Fund supports research activities related to the Library’s collections. Research and the dissemination of new knowledge about New Zealand’s past, its cultures and its languages is crucial for understanding the distinctive qualities of New Zealand as a nation and their evolution in a world context. As new knowledge about New Zealand has become more important, so has the need to develop this fund. The Endowment Trust seeks funding for fellowships to support full-time research at the Library, for grants-in-aid to provide added assistance to scholars for travel and other research expenses, and for a programme of conferences and seminars in the Library. The Lilburn Trust was established by the prominent New Zealand composer Douglas Lilburn in 1984. The Lilburn Trust supports a wide range of projects on New Zealand music. It has supplied grants to performers, composers, authors, filmmakers, record companies and oral historians to help promote New Zealand’s musical arts, to advance musical knowledge and appreciation, and to preserve musical archives. It also awards citations to individuals who have given outstanding service to New Zealand music, and funds the annual Lilburn Trust Student Composition and Performance Awards at universities throughout New Zealand. The Trust’s recent initiatives include the biennial Lilburn Research Fellowship in association with the Alexander Turnbull Library. The aim of the Fellowship is to encourage scholarly research leading to publication on some aspect of New Zealand and music, using the resources of the Archive of New Zealand Music and the wider Library collections. The Fellowship has a value of up to $70,000 and also includes use of an office at the National Library in Wellington. The annual Lilburn Lecture provides a platform for invited speakers to contribute to the discourse around New Zealand music, encourage debate and present new ideas. It has been held since 2013, with the lectures also being recorded and broadcast by Radio New Zealand. The Lilburn Trust is administered as a charitable trust under the Alexander Turnbull Library Endowment Trust. Douglas Lilburn (1915-2001) was a valued supporter of the Turnbull Library, helping establish the Archive of New Zealand Music and donating his personal collection into its care. 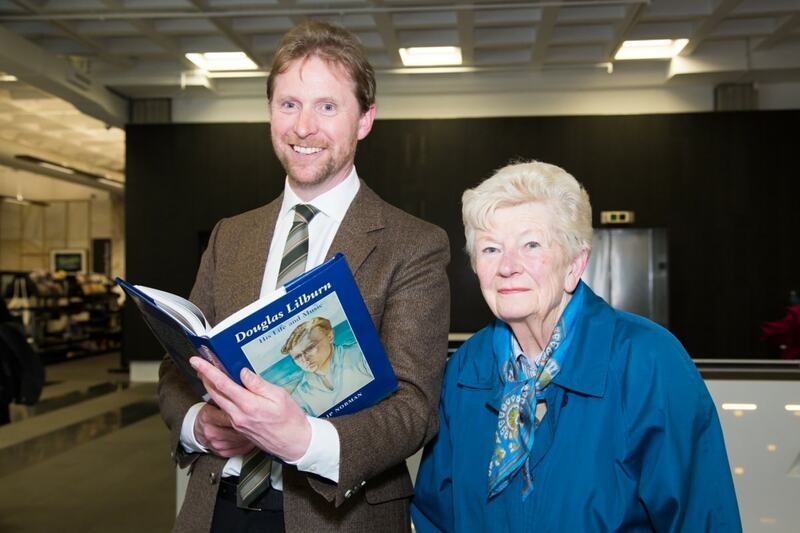 Dr Michael Brown, ATL Curator Music, is shown holding a copy of Philip Norman’s biography of Douglas Lilburn, published in 2007. The writing of the biography was assisted by a grant from the Friends of the Turnbull Library, while the book’s publication was assisted by the Lilburn Trust. In 2013, Philip Norman was awarded the Lilburn Research Fellowship towards the writing of a history of NZ composition. Dr Brown is accompanied by Margaret Neilsen, a colleague and friend of Douglas Lilburn’s in the VUW Music Department and a founder member of the Music Advisory Committee of the Endowment Trust, which was established to consider grant applications to the Lilburn Trust Fund. This fund was set up through the generosity of philanthropist Jack Ilott 'to promote standards in the use of oral history as a means of documenting New Zealand’s past and contemporary history'. A goal of the Endowment Trust is to seek new funds to build on the original gift. 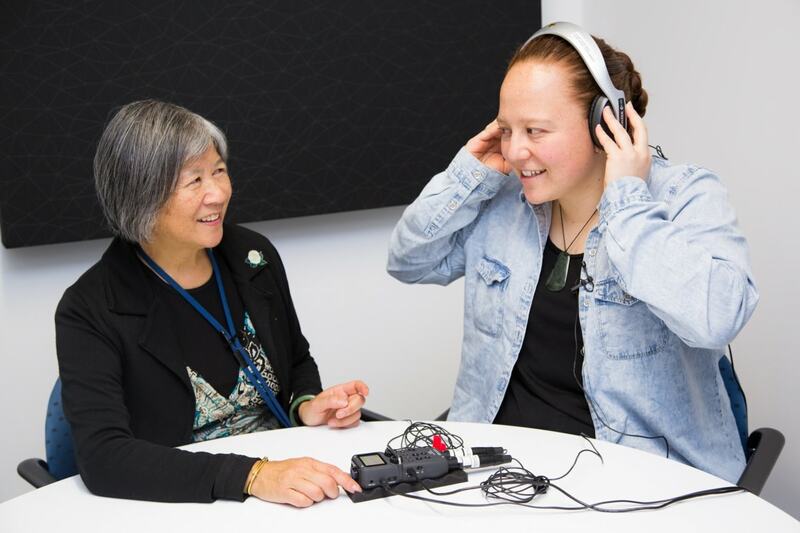 The purpose of the fund is to promote standards in the use of oral history technique as a means of documenting New Zealand’s past and contemporary history. e. Any other educational, training or project activities deemed by the Trustees to serve the purpose of the funds. Applications for assistance are to be made to the Board of Trustees, and are to include a completed questionnaire giving details of the proposed work or training, together with details of the background of the applicant as it relates to the application. Allocations may be up to $500. The Endowment Trust also manages funds for the Friends of the Turnbull Library and the Guardians of the New Zealand Cartoon Archive. For more information, please go to the pages for the Friends of the Turnbull Library and the Cartoon Archive Trust.